Another popular myth is that of the "Siberian muzhik"
Bears strolling in the streets and freely flowing vodka—these are common myths about Siberia. Another popular myth is that of the "Siberian muzhik"—the idea that the typical Siberian man has a character forged from iron and an instinct for survival. But does such a thing actually exist? Siberia is so big that not even every Russian knows where it starts or ends. Its territory is bigger than that of Canada, the second largest country in the world in terms of area, and the very thought of Siberia conjures up images of extreme frost and an impassable taiga. All this is true, but only up to a point. There are 19 cities in Siberia with a population of over 100,000 people and three cities with over a million residents. Siberia's administrative center is Novosibirsk (3,360 km east of Moscow). In fact, it is Siberians themselves who keep the stereotypes about Russia alive. What does a typical Siberian look like? Hatiya lives in Yangutum. Her husband works as a motorman on a diesel station which provides electricity for the village, while Hatiya works on this 'market'. Most likely they look at least a bit Asian. Siberia is situated in North Asia on the border with Mongolia, and so a lot of people here have at least some Asian roots. Admittedly, there are also many people who have a so-called European appearance because in Soviet and Tsarist times Siberia was a traditional place of exile for Russians, and people from all over the country were exiled here. At least once in your life you will encounter someone—likely wrapped in fur—who has a "typical Siberian face" (and every Siberian has their own idea of what this means). A beaver hat as tall as the head of the person wearing it is not a fashion whim, but rather a harsh necessity. During winter the temperatures in Siberia range from minus 20 to minus 40 Celsius. 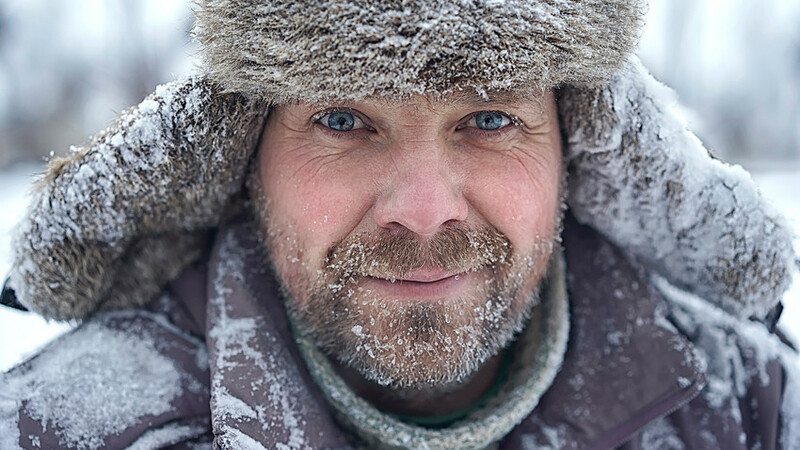 "I remember going to school as if I was embarking on an Arctic expedition. 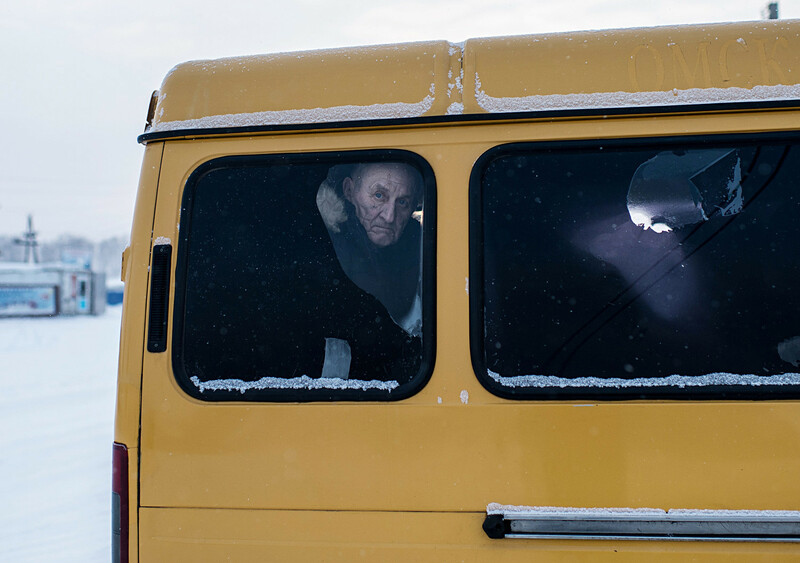 High fur boots, a half-length fur coat, dogskin mittens, a rabbit fur hat and my face covered with a mohair scarf leaving only a narrow slit for the eyes, and minus 38 Celsius outside," recalls one resident of Lesosibirsk, a city 256 km from Krasnoyarsk on the banks of the Yenisei River. The hot Siberian summer usually lasts around a month, and in September Siberians already start putting their hats back on. Perhaps this is why there are more people suffering from depression in Siberia than in all the rest of the country. Still, you are unlikely to encounter a Siberian talking about their psychological suffering with Radiohead playing in the background. They won't tell you about such things. The Siberian character entails resilience, so, most likely, a Siberian will hide their melancholy deep inside and will go off to "sort things out." They won't waste energy on trifles. They are a people of few words. "We are a big family, and we are all different. But one of my brothers is a typical Siberian. He won't talk about any whys and wherefores. Rather he would be inclined to hit you in the face," says social media user Bronik. Siberians are regarded as sincere and straightforward and quickly move from questions to answers. As such, arguing with them is not recommended. What does a typical resident of Siberia do in their spare time? 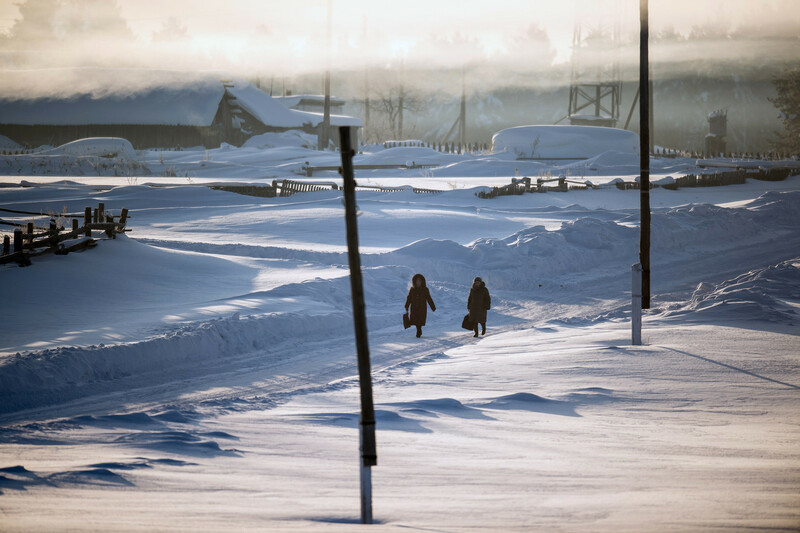 Even when it is minus 40 outside, life in Siberia doesn't come to a halt but rather goes on as normal. 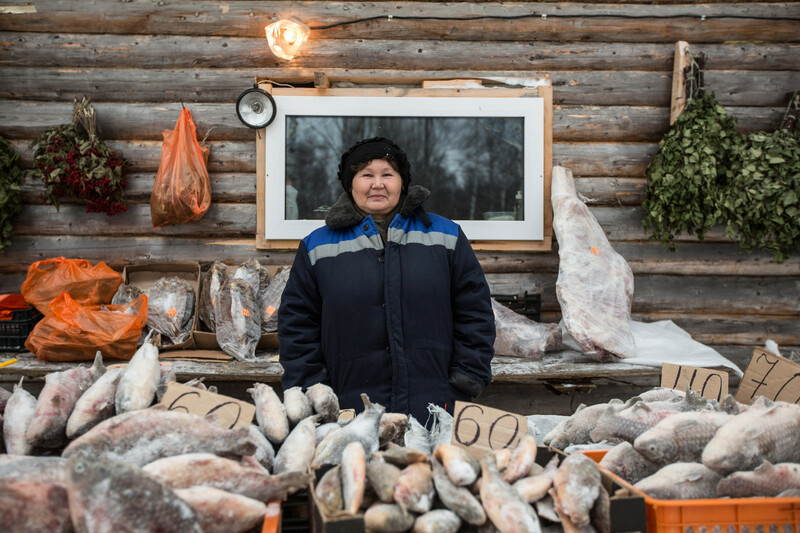 In their free time Siberians go winter fishing or visit friends, watch television together and skillfully crack Siberian pine nuts, just as they have done since childhood. "It takes you two hours to fly over just one region, and in the same time you could have flown over several countries," residents of Irkutsk often say. In the Siberian concept of distance, 240 km and 600 between population centers is normal, and everyone here is used to this. To travel for 300 km to visit someone is "not really any distance at all." However, many Siberians have never been to Moscow. On average it takes between four and six hours to fly to the capital, about the same as going to China or Thailand. And for their vacations, Siberians usually prefer to go to Asia. For a typical Siberian a holiday to Europe is a dream that rarely comes true. The stereotype about bears in the streets does in fact find confirmation here more often than elsewhere. It is not all that uncommon for a Siberian to think they are going out to the shop when in fact they are on their way to a meeting with a bear. What does a typical Siberian think about? In Siberia, everyone is always waiting for summer, but all their life they are getting ready for winter. "Even lying on a beach by the Yenisei, a Siberian will be thinking of what the next winter might bring. How deep will the ground freeze? And whether to buy four tons of coal or five, just to be on the safe side?" says Alexei from Krasnoyarsk (4,144 km from Moscow), a city where many houses are still heated by coal. A typical Siberian believes that it is Siberian super-soldiers who won World War II. 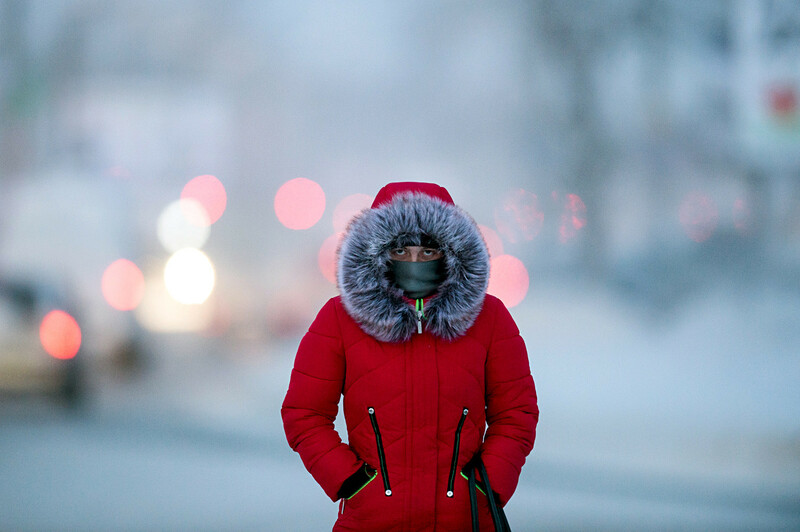 Every year Siberians smirk smugly when they hear that Moscow has been hit by temperatures of minus 10 Celsius, bringing the city to a standstill and preventing children from going to school. The fundamental difference between Siberians and other Russians is that they can talk to no end about the harsh climate but will never leave. Simply because "it is their land." On the contrary, typical residents of Siberia always ask themselves, "Why can’t the capital move to Siberia?" Such a solution seems logical to them. Then everyone in the country would have to fly the same distance to reach the center of Russia. Not to mention that Siberia is where many of Russia's natural resources are located, in other words, its oil and gas province. And one more thing: A typical Siberian believes that it is Siberian super-soldiers who won World War II. The myth of the invincible Siberian is still alive here. "As war veterans recalled afterwards, usually real Siberians made up no more than 10 percent of these regiments, but all the others were told: You have joined a Siberian division, and here they are used to fighting to the bitter end," wrote (link in Russian) researchers who have studied the Siberian character.